Successfully Added Car Rear View Mirror with Dashcam and Wireless Parking Camera - 5 Inch Screen, GPS, Speed Radar Detector, Bluetooth to your Shopping Cart. Car Rearview Mirror with 5 Inch Screen, Bluetooth, GPS, wireless rearview camera and front facing dash cam. 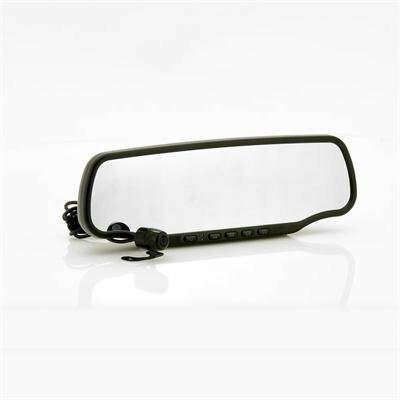 Use this multifunctional rearview mirror to replace your old one and experience the latest car technology! This Bluetooth rearview mirror monitor will give your car the technology boost it deserves. Not only will it fulfill its usual task or being a rearview mirror, it will also record the road in front of you so you can use the footage later on to protect yourself after an accident. On top of that, the wireless parking camera will transmit its video feed to the built-in 5 Inch screen to assist you while parking. This way, parallel parking and reversing into narrow space will become a piece of cake! Another great feature of this high tech rearview mirror is its ability to detect speed radars and to warn you on time. 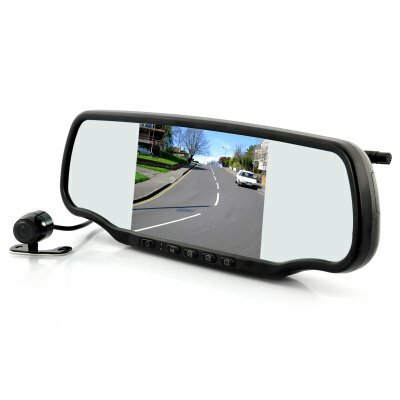 Just image how much money this mirror could save you in a year if you don’t receive those annoying speed tickets anymore! And to make your ride as safe as possible, you’ll be able to pair your phone with the mirror and make hands free calls while driving. Not to forget that you'll also be able to install your own GPS software and use it as a GPS navigation system! This Car Rearview Mirror with Built-in 5 Inch Monitor, Bluetooth and Dual Camera is a great car upgrade and can easily be installed in most cars. Available at a factory direct wholesale and ready for next day shipping, this item is backed with our famous 12 month warranty. Brought to you by the leader in wholesale car DVRs and accessories, Chinavasion.